With spring approaching, I'm discovering so many new styles and trends that I'm excited to try! I'm starting to feel more adventurous - and it's both daunting and exciting. For the first time in a long time, I'm really enjoying more indie vibes and, wait for it... Neutrals!!! I think I barely owned a neutral item for what, 3 years? 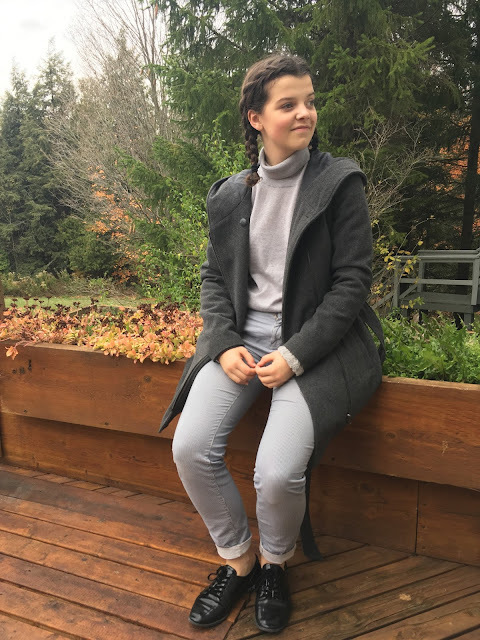 The other day, I wore an all gray/black outfit, and I loved it! Whatever this new thing for neutrals is, I'm loving it! Has anyone else felt a sudden shift in their fashion as the weather gets warmer? Tell us all about it in the comments! For now, I'll tell you about some of the things I loved this February. I got this top on a great sale price from Newlook, and I was so surprised by how much I love it! It's ultra soft and cozy, and the ruffle makes it just a little bit more fashion-y. I wore this tucked into high waist black skinnies with a little blue necktie the other day and I got so many compliments! I also decided to try a new brow product this month: the NYX tinted brow gel. I was critical about how it would look at first, but it looks much more natural than using a brow pencil on my brows! I also love how quickly it can be applied for thicker, darker brows that don't look drawn on. Another great thing about this product is the range of shades! I am using brunette and it is a perfect match for my brows. 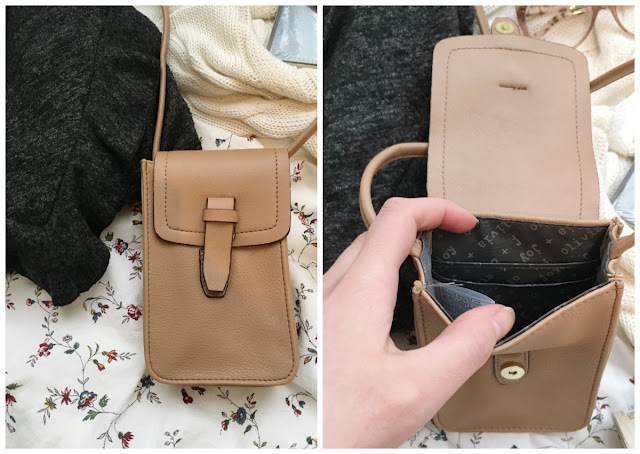 On a break between classes, I picked up this little cross-body from Winners. It is by Olivia + Joy, who make lovely bags and wallets inspired by Kate Spade. I really love this bag! Not only is it adorable, but it's the perfect piece for a more casual date outfit. I love the thin strap because it looks so dainty worn as a cross-body with a feminine outfit. It has two interior pockets for cards and one pocket in the back. It is also perfectly sized to put your phone, a lipstick and other little necessities. As a chronic overpacker, a small bag is the only way to stop me from bringing everything I own with me on a date!! As someone who plans time to do planning, a bullet journal was something that I've wanted for years! I finally jumped on my chance when my local Chapters had them on sale. I am so excited to get started! Time for a trip to Michaels for washi tape and stickers!!! I also finally got a new pair of glasses this month!! I love these so much. Gabe says that I look like an old librarian, but in a good way ;) The neutral pink looks really nice with the brown tones of my hair and eyes, and the shape balances out my face. What are some of your favourites from the last month? And how has your style been changing in anticipation of spring? We'd love to know! !